Whitehead in Ireland-North is a perfect choice for a great holiday or a fun short break in County Antrim. Find out more about Whitehead below. This lovely refurbished terraced cottage is nestled among four other cottages in Whitehead close to the peninsula of Islandmagee. Traditional handmade touches together with modern day amenities make this a truly delightful gem. Enter into a charming sitting room with a welcoming fire. French doors open onto a sunny garden with a patio and decking area which is surrounded with tall hedges on either side making it a lovely private retreat. The nearby harbour is edged with colourful buildings and a lighthouse walk. A great touring base for both Eastern and Northern coasts of Northern Ireland and the scenic Antrim Coastal drive to GiantÃ‚â€™s Causeway. Free Wifi available.Shop 1320 yards. Pub. Restaurant 1Ã‚Â½ miles. Beach 2.6 miles. GF: lounge, kitchen/diner, utility room, double, shower room. FF: double.Electricity and gas central heating included, wood burner with fuel supplied, linen and towels included, No Smoking, travel cot, high chair, TV, dvd player, radio, CD, fridge no ice box, microwave, dishwasher, w/machine, freeview, internet access, hairdryer, welcome pack, fully enclosed garden, patio area, decked area, patio furniture, bbq, off road parking. Pets welcome. Whitehead is family friendly self catering. We have the following details listed regarding Whitehead accommodation accessibility but we would recommend that you always confirm these prior to booking with the owner or operator. Whitehead is a great base to explore the wonders of County Antrim and you will find plenty of activities near by. Whitehead is at Antrim Coast, County Antrim. Check out the map below for directions, use the controls to zoom in. If you have stayed at Whitehead why not add your thoughts, comments, pictures to our Facebook page? Don't forget to add the name/town/page link to your comment so its attributed to the correct place. Please keep it polite, we are sensitive souls! Find Cottage Holidays works closely with independent cottage owners and leading holiday travel operators to provide you the widest choice of self catering accommodation across Ireland. 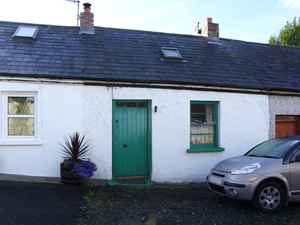 Whitehead in County Antrim is available through: Imagine Ireland.